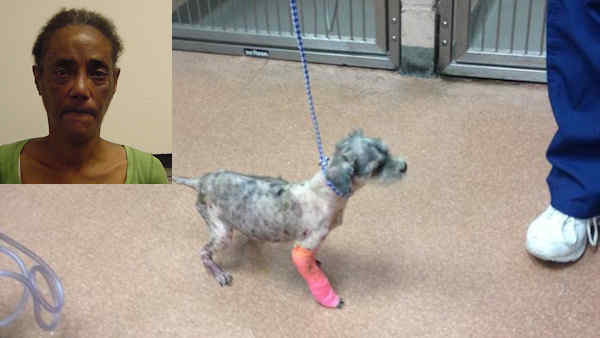 HEMPSTEAD (WABC) -- A woman accused of abandoning a severely abused and stolen dog outside a veterinary clinic in Hempstead was arrested Thursday. The poodle-mix, named Nino, was reported missing nearly two years ago before workers found him Tuesday. Tamara Copeland, 56, of Hempstead, was arrested by district attorney investigators and is charged with misdemeanor animal neglect and animal abandonment. Nino was given to the owner as a birthday present by her daughter in April 2000, but went missing two years ago from the owner's yard. Veterinary officials reported him to be in terrible condition, suffering from bacterial infections, skin lesions, trauma and other injuries of unknown origin. 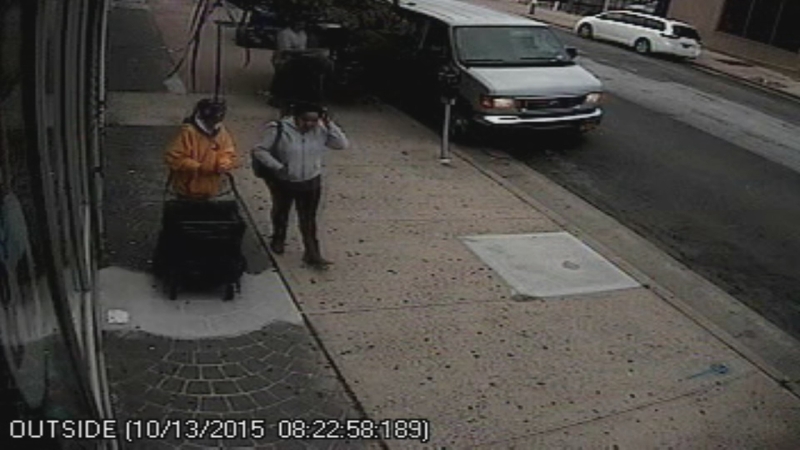 Video showed two women, one of whom police say is Copeland, dropping the dog off outside the clinic on Main Street. The dog had an implanted identification chip, and the original owner was contacted. 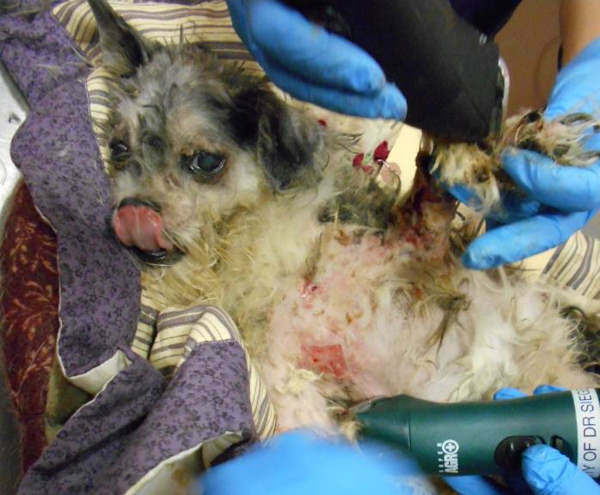 The poodle-mix, named Nino, prior to getting treatment and cleaned up. "This beloved dog went missing from his owner and more than a year later was found discarded and in horrifying condition on a Hempstead street," Acting District Attorney Madeline Singas said. "Those who harm innocent animals, often hurt people, and we're seeking the public's help to find the criminal who stole and abused this innocent animal." After Nino received stabilizing medical care, he was transferred to a private veterinary facility where he will be reunited with his owner.